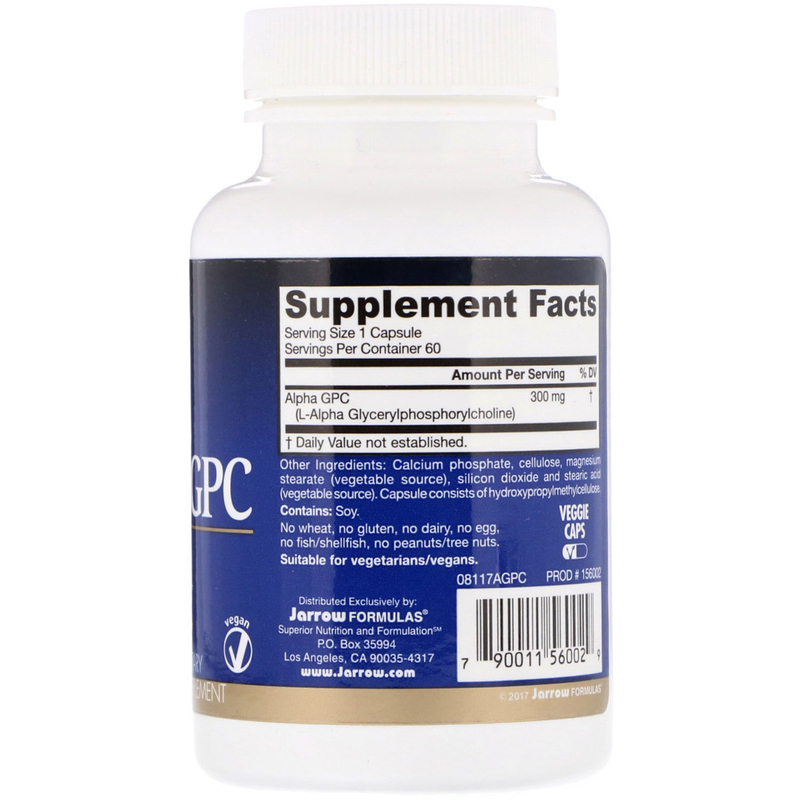 Alpha GPC (L-alpha glycerylphosphorylcholine) is a phospholipid metabolite found concentrated in neuronal membranes. Alpha GPC is extremely well absorbed and crosses the blood brain barrier. 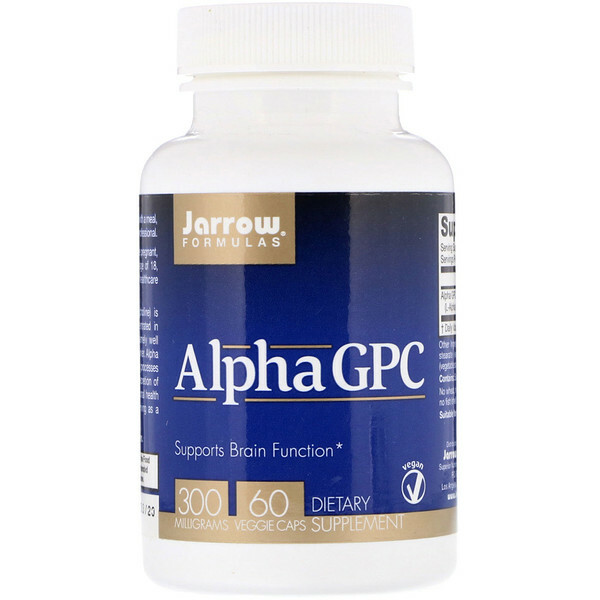 Alpha GPC supports brain function and learning processes by directly increasing the synthesis and secretion of acetylcholine. Alpha GPC supports neurons health and improves signal transmission by serving as a precursor to membrane phospholipids. Take 1 capsule 1 to 2 times per day with a meal or as directed by your qualified healthcare professional. Calcium phosphate, cellulose, magnesium stearate (vegetable source), silicon dioxide and stearic acid (vegetable source). Capsule consists of hydroxypropylmethylcellulose.